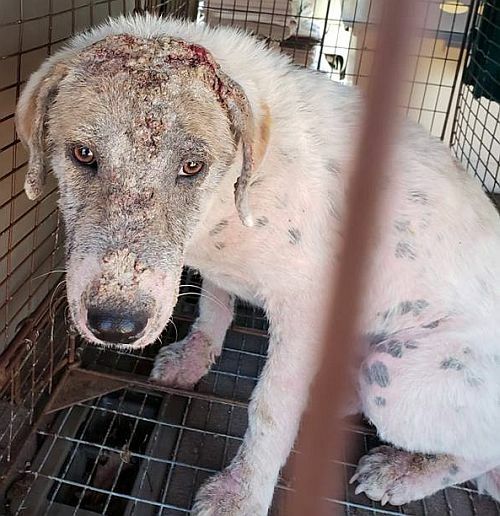 Help us to help more homeless dogs. Click here for more information. With the exception of prearranged adoption appointments, we will be closed to visitors April 19th, 20th & 21st. We will still be here to tend to the animals so if you would like to help out please contact us. Would you like to adopt a dog on the day of your visit? You need to be a pre-approved adopter. Fill out our Adoption Application Form now so that you are ready to adopt when you see a dog that like. We do NOT do on the spot adoptions. Applications must be submitted and vetting/personal references must be checked before an adoption is completed. You will not be able to adopt a puppy or dog on the day of your visit if you do not have a verified application. Click here for the Adoption Application Form. NOTE: We have pets in foster homes as well as the new Animal Rescue and Adoption Center. Please email us to schedule a time to meet your newest family member. If you would like to meet more than one pet when you visit, this can be arranged. We rely on people to provide temporary homes to the dogs and cats we have rescued. The more foster homes we have, the more pets we can save from certain death at the county pound so we never have enough! 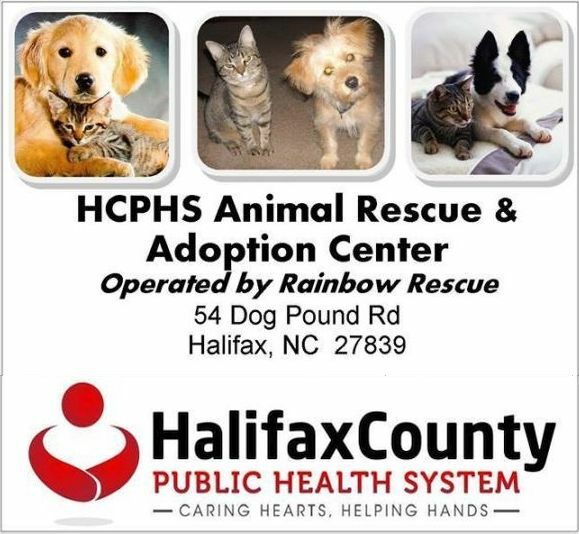 We prefer our foster homes to be in Roanoke Rapids and Halifax area but we are open to offers. If you would like to foster a dog or cat please fill out our foster home application form. Someone will then contact you to carry out a home check and explain what is required of you. Donations of your time are always welcome especially in our new Animal Rescue and Adoption Center. We are always looking for good foster homes (we really need these), help with transports, fundraising, etc. Even a few hours a month can make a difference. If you think you would like to help out, please write or email. Cash donations are always gratefully accepted, too. Donations may be made via PayPal, a secure online payment service. You can donate with cash or a credit card, they accept both methods. Your donations are tax deductible. Click here to see our donations page. Thank you! Rainbow Animal Rescue now has a building to use for rescued dogs and with it running costs including an electricity bill, water bill, cleaning costs, maintenance costs and the food bill! As always, vet bills, from routine check-ups and vaccinations to treatment of injuries, heartworm, parvo, or malnutrition. Then there is getting them spayed or neutered. You can send your tax-deductible donation to Rainbow Animal Rescue Inc., PO Box 972, Roanoke Rapids, NC 27870. Click here to see our donations page. Kennel cleaning: We have to do this every morning. The more people we have the less time it will take. Socializing the dogs and cats: Playing with them and grooming them. Transportation: Taking the animals to the vet, to other rescues and to adopters, either using our van (if it is working) or your vehicle. Administration: Processing adoption applications, data entry - adding new dogs to the database, updating medical records, filing. Fundraising and Donations: We need money and materials to operate the shelter. Organise or help at fundraising functions. Adoption Events: Transporting dogs to adoptions events, looking after them while they are there, telling people about them. 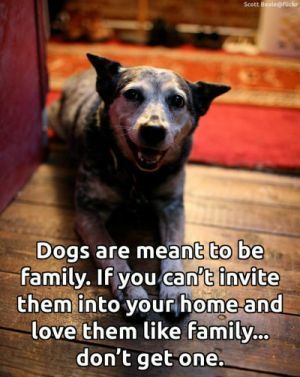 Fostering: We need people to provide temporary homes to the dogs and cats we have rescued. The more foster homes we have, the more pets we can rescue from the county pound so we never have enough. Foster homes provide useful information about a pet so that it finds a home more easily. 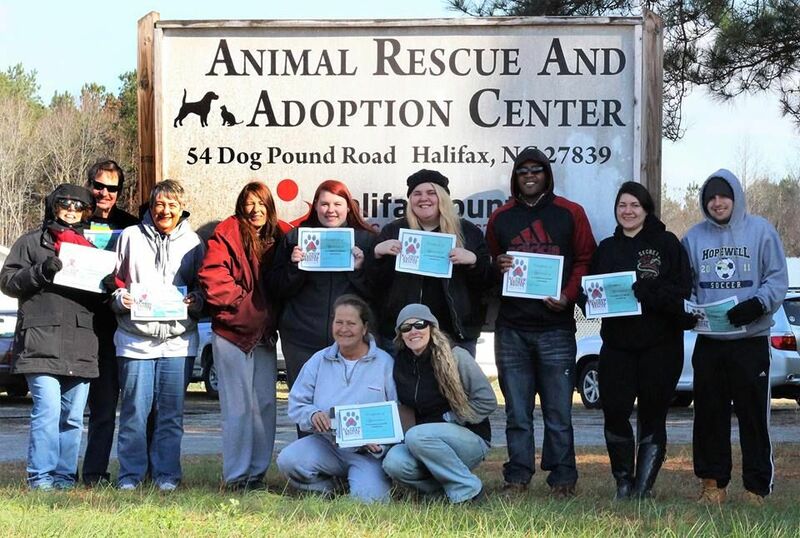 We need you to live in the area of Roanoke Rapids/Halifax, NC in order to foster a pet. Click here for the foster home application form. If you would like to volunteer an hour or two or more of your time please e-mail halifaxrescueangels@yahoo.com indicating your name, your contact phone number and tell us what you are interested in helping with. Any interested person is welcome but we need you to be committed and reliable, i.e come in on time and work for the hours you said you will. We will need parental consent in writing for people under 18 to be a volunteer. This will not be required for the training session. We would prefer you do not bring little children to the training session. 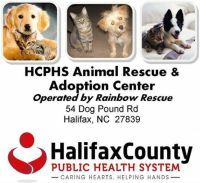 Training will take place at the Animal Rescue and Adoption Center, 54 Dogpound Road, Halifax, off 901 near the 4H facility. 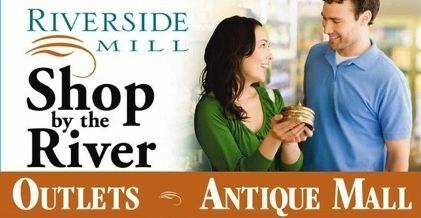 Riverside Mill combines an antique mall and artisan’s gallery in a historic cotton mill on the banks of the Roanoke River. Scenic river overlooks, antiques, estate jewelry, silver, furniture and collectibles give shoppers and visitors a unique experience. American Craft including pottery, glass, jewelry, metal and wood represent the best in national,regional, and local American Craft with a strong emphasis on North Carolina artists. Seasonal produce and regional foods like peanuts, hams, jams, jellies and wine offer visitors the chance to take home a little taste of North Carolina. Once a working, water-driven cotton mill, Riverside Mill is located in historic Weldon, NC, less than 1.5 miles from Exit 173 off Interstate 95 on Route 158 East. Eight miles south of the NC/VA State Line. Follow the signs to Riverside Mill. 200 Mill Street, Weldon, NC 27890. Phone: 252-536-3100. Open Daily 10am-6pm. Handicapped Accessible. Click here for more information. See Our Facebook page This is a public page, you do not need to login to see it. Halifax County Animal Control has recently opened their doors to adoption and rescue. Your help is urgently needed. HCAC is located at 568 Dogpound Rd, Roanoke Rapids, North Carolina 27870.